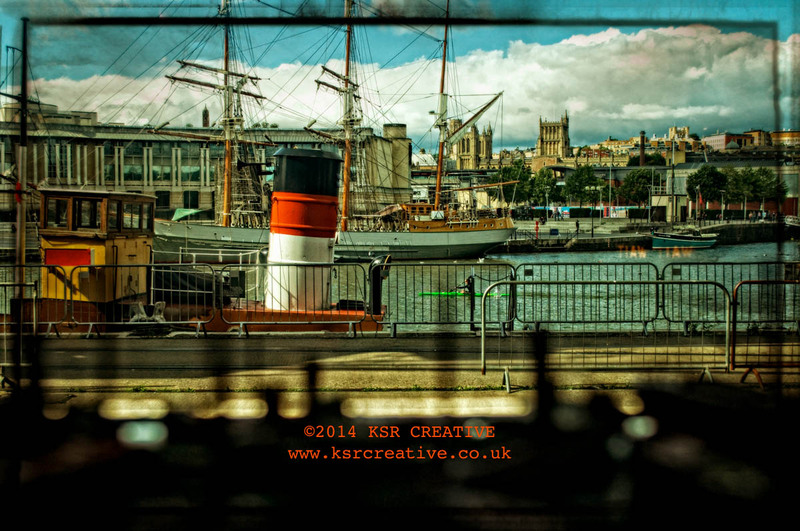 Went to to visit the S.S.Great Britain a few weeks back (a great day out and thoroughly recommended) in Bristol. While there we went to the dockside and visited the Museum of Bristol, which is also well worth a visit (and that ones free!). I took this shot looking out through a display of small model ships (the dark shapes in the foreground) and really love the “ages” of ships;steam tug, three rigger and a plastic kayak. As well as that, just how busy the pictures is. I then worked for ages in Photosuite 8.5 get the look of the image just how I wanted (and stupidly forgot to save “the look” as a pre-set!!) but am really pleased with the result. I’m going to get to fine art test prints of this, and when I’m happy I’ll make them available on the ksrcreative.co.uk web site. I hope you enjoy too.